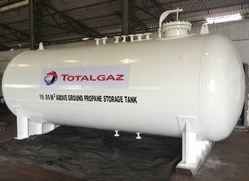 Offering you a complete choice of products which include nitric acid storage tanks, liquid co2 storage vessel, ammonia jacketed storage tank, lpg storage tank, propane mounded storage tank and ammonia storage tanks. 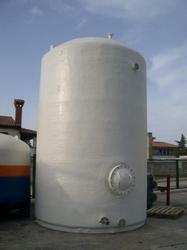 For more than 25 years KEW has produced custom Nitric Acid Storage Tanks to meet our customers’ exact specifications. 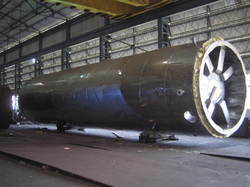 Our storage tanks can be ASME code constructed and stamped, or non-pressurized based on your needs. Whether you need large volume storage tanks or very small process holding tanks, pressurized or not, we have the capacity and expertise to make it happen. Backed by a team of well-trained and skilled professionals, we are involved in manufacturing and supplying Liquid Co2 Storage Vessel that is handed over in standardized packaging. Made available in different specifications, these capacious vessels are manufactured from optimum quality raw materials that are procured from our trustworthy vendors. 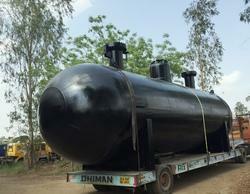 These robust vessels are immensely popular for holding huge amount of liquid Co2. 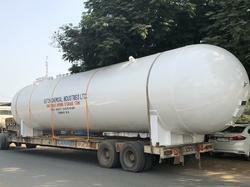 We are specialized in manufacturing a range of Propane Mounded Storage Tank that find application in varied industries. Made with precision using graded material, our range is high on durability, reliability and corrosion resistance. To attain maximum client satisfaction, our range is available in varied specifications and at industry leading prices. 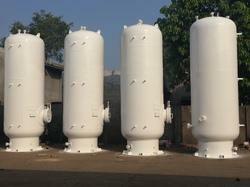 We are offering wide range of Ammonia Storage Tanks for Chemical Industry. 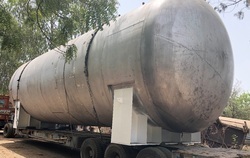 The specially designed tank is capable of storing liquids in large amount and is resistant to weather, chemical and corrosion. In addition to this, we offer these tanks at reasonable rates.